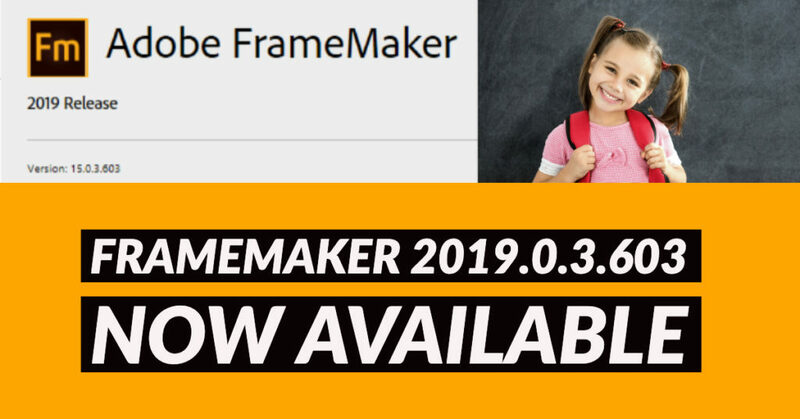 Interested in FrameMaker 2019 training? 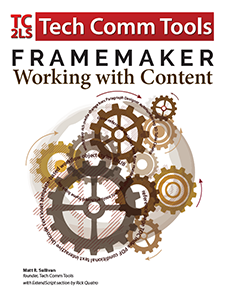 See TRAINING in the menu above for a free Introduction to FrameMaker 2019 course, as well as courses in advanced authoring and template design for both structured and unstructured (standard) FrameMaker. All versions supported. Using the Save As PDF route to generate PDF for a document containing some specific fonts for East Asian languages do not render correctly. Hyphenated words in Arabic language do render correctly in the PDF output. In some cases, when a document containing Helvetica font with Oblique Angle is saved as PDF, junk characters are found in the published PDF. FrameMaker does not generate a valid PDF for documents containing some specific Type 1 fonts. In the PDF output, the Grid lines do no render correctly. Scaling image using the Fit Frame (Proportionally) option does not retain the scaling properties for EPS and SVG files. Random image pixelation issues noticed in Responsive HTML5 output. A .png file imported into a document does not show in the Authoring mode, but renders correctly in the PDF output. In the PDF output, the math equations created using CoolType fonts do no render correctly. Drawing vertical lines using the ExtendScript is not possible. The Convert Text and Graphic Colors to RGB (Excluding Images)option (label) in the PDF General settings dialog gets cropped on a high-resolution monitor. Text truncation issues were noticed in some dialogs in localized versions. Adding a document to the Pinned documents list does not work as expected. The variable Name label is missing from the Add/Edit Variable pod. In some cases, changing properties in the Object Properties dialog causes FrameMaker to freeze. In some cases, FrameMaker crashes on changing variable values using the Variables pod. FrameMaker crashes while importing a .sts file in the Word Importdialog. Importing a Word document containing nested tables results in a crash. FrameMaker crashes on copying tables with colored content from a PDF into a FrameMaker document. Random crashes noticed when saving FrameMaker 11 version files to FrameMaker 2019 version. 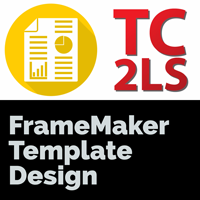 In some cases, FrameMaker crashes on inserting a new reference element like topicref or mapref from the Elements Catalog. Closing a book file using the keyboard shortcut keys (Ctrl+F4) or switching between tabbed document window (Ctrl+Arrow key) causes FrameMaker to freeze.